We are a famous organization for manufacturing a large assortment of Material Handling Equipments. These offered range is highly admired by the clients for their durability and high tensile strength. 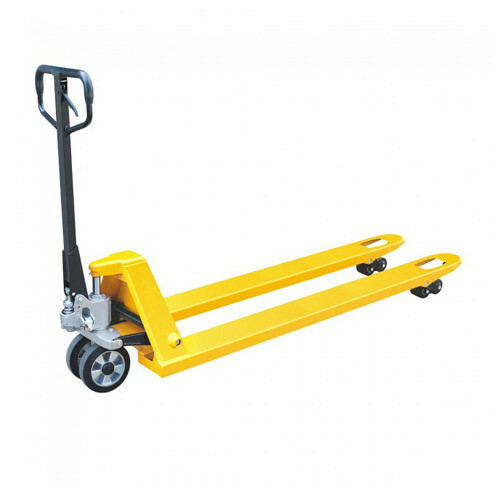 We are the foremost manufacturer, wholesaler, exporter, trader and retailer of a premium quality range of Pallet Truck, Power Pack Unit, Drum Equipments, Order Picker, Platform Trucks, Aluminium Ladders, Trolley Wheels, Material Handling Trolley, etc. These products are manufactured using high quality material with the help of advanced technology as per the set industry norms. Further, these products are highly appreciated by our clients for features like durable finish, high strength, robust construction, easy maintenance and longer service life.